How was your Valentine’s Day? I masturbated then watched the dog show, though at least 30 minutes apart so as not to make it weird. But some people believe in romance. 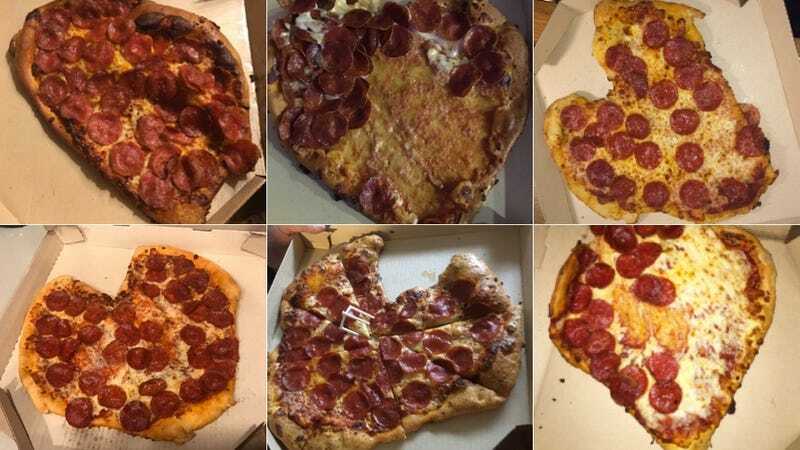 At least two delivery chains offered customers the option to order heart-shaped pizzas, and America’s hungry lovebirds eagerly obliged. My take is: It all looks the same after you’re done with it. Hope you had a sensual Valentine’s Day.